Trilobite Wilderness is located in San Bernardino County, California approximately 60 miles west of Needles, CA in between I-40 and historic Route 66. 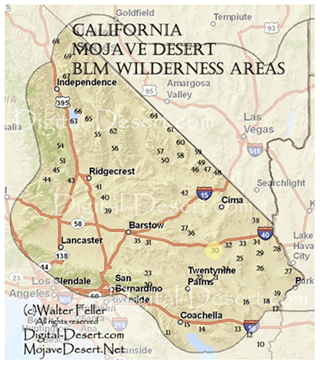 Maps of the area can be obtained from the Bureau of Land Management Field Office in Needles, California. The 39,616-acre (approximate) Trilobite Wilderness covers the Marble Mountains, a narrow volcanic range extending 12 miles in a northwest-southwest direction. Alternating dark brown and light brown striations have been tilted by geologic processes and give a marbled appearance to the range. Through the center, several yellowish sandstone peaks with long talus slopes are prominent. Trending eastward from the mountain range, the wilderness includes low rolling hills and sloping bajadas. 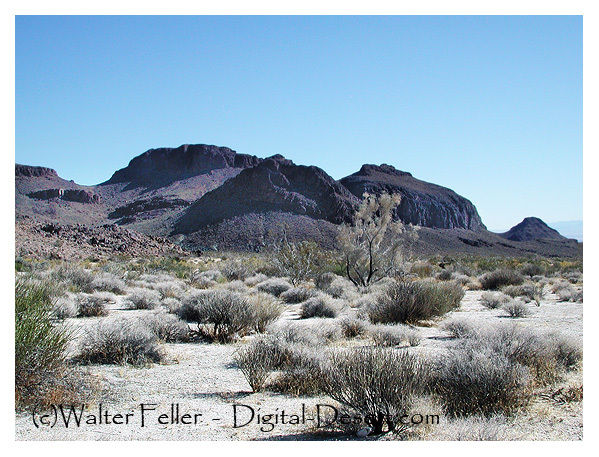 Vegetation is characteristic of the lower Mojave Desert, consisting of creosote bush scrub and desert wash scrub. Wildlife is also typical for the Mojave Desert; including coyote, black-tailed jackrabbits, ground squirrels, kangaroo rats, quail, roadrunners, red tail hawks , prairie falcons, rattlesnakes, and several species of lizards. The area does have a very stable permanent population of bighorn sheep last estimated at around 150, and the eastern portion of the wilderness provides critical habitat for the threatened desert tortoise. This wilderness encompasses a large portion of the rugged Marble Mountains and includes long alluvial fans on both sides of its range. Alternating dark brown and light brown striations have been tilted by geologic processes, thus presenting a marbled appearance. In the center of the wilderness are several prominent yellowish sandstone peaks with extensive talus slopes. This wilderness is named for the fossils which can be found within the region. The mountain range also is home to one of the larger and more rapidly growing desert bighorn sheep herds in the eastern Mojave Desert. 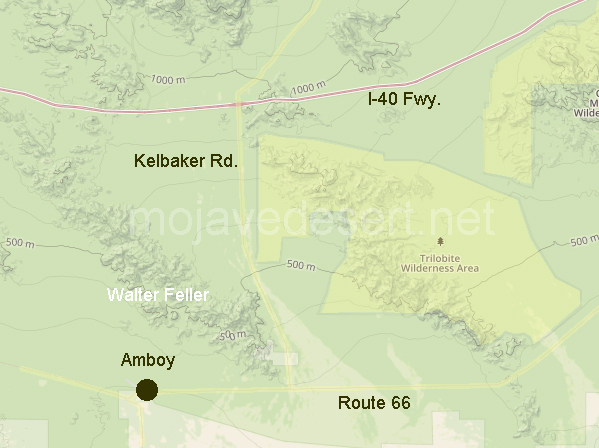 Access this wilderness by traveling 28 miles east of Ludlow on Interstate 40, and take the Kelbaker Road exit. Travel south I mile, where the road intersects a pipeline. Turn east and follow the pipeline road for approximately one mile. The pipeline right-of-way forms the northern boundary of the wilderness for the next 11 miles. Four-wheel drive vehicles are recommended.